How much can you learn about negotiation by sitting on the couch watching movies? Plenty. Want to become a better negotiator? You could diligently read up on the subject or attend some negotiation training courses, but for the couch potatoes amongst us, you might just learn more by watching some of your favourite films. Negotiation scenes come in many varieties in film. Often they’re in the form of a hard sell (think Leonardo DiCaprio selling dodgy stocks in The Wolf of Wall Street), or a hostage situation (Tom Hanks negotiating for his freedom in Captain Phillips) or other life-threatening situations such as Mel Gibson trying to talk a suicidal man down from a ledge in Lethal Weapon. But when it comes down to the nuts and bolts of haggling, the following five scenes give illuminating examples of how to win – or lose – in a high-stakes negotiation. Lou being willing to haggle down to a certain level, after which he refuses to budge. The power shift in the negotiation from Nina to Lou (aided in part by Lou’s creepy intensity). Lou throwing in a number of extra conditions when he knows he has Nina beaten. The moment Stonehill mentions the valuation of the horse and hence kicks off the haggling process. Mattie’s threatening to walk out on the negotiation and go to the law, causing Stonehill to adjust his offer in panic. Mickey’s impossible-to-understand list of caravan features. The video clip below includes subtitles, but cinema audiences had no such assistance when this film was released. The bewilderment on Turkish and Tommy’s faces as they realise they don’t know what they’ve actually agreed to. The cultural barrier between the Irish Travellers and the other characters in the film is a running theme that goes far beyond the tricky accent. The range of emotions playing over the car dealer’s face as he realises he can’t free his hand. Frank’s feigned surprise and gratitude when the dealer drops his price. Sherri’s tactical silence when Jack pauses to let her speak. Jack rolling his eyes when he realises how badly he came out of the negotiation. Want to suggest some other films or TV shows with great negotiation scenes? Leave a comment below! Psychopaths are present in every workplace. And the higher you go in the organisation, the more likely you are to encounter one. 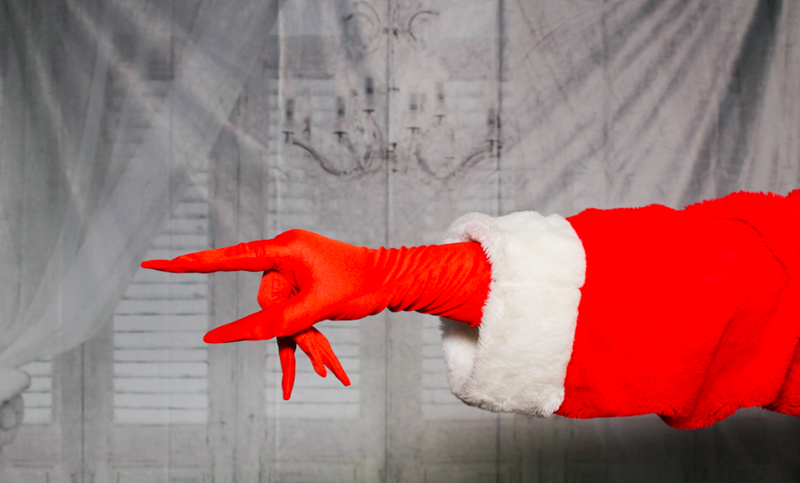 Working for a psychopath is no holiday. Here’s how to tell if your boss is one, or just a garden variety bully. A human resources manager is more likely to know them as sociopaths, micromanagers or workplace bullies. I call them psychopaths, not to insult them or even to suggest that they might be chopping people up for fun, but because they share a common set of character traits with all those personality types and also with criminal psychopaths. 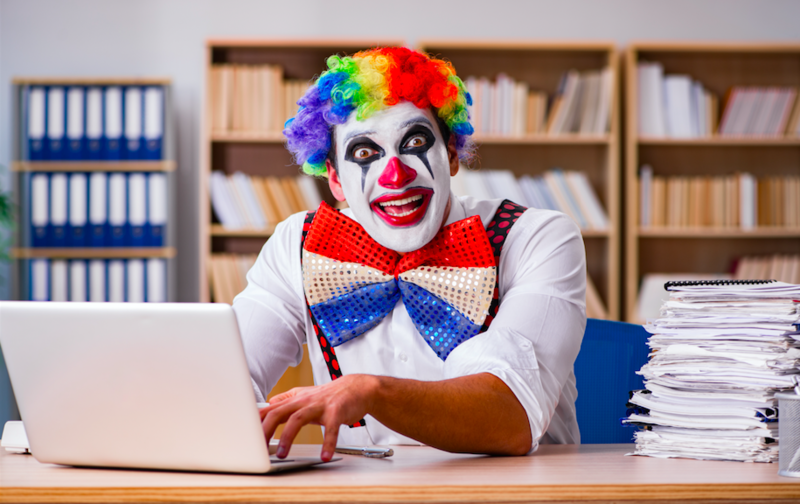 A workplace psychopath has a two-faced nature. One face oozes charm and charisma, while the other is viciously mean. They work very hard at flattering those that have power over them, but present a very different face to the people that work for them. To most of their team they are manipulative and controlling. People who work for a psychopath see this face most of the time. They are convincing liars and they lie compulsively, often for no apparent reason. The truth to them is whatever needs to be said at that moment. It is whatever they judge their audience wants to hear. And they will have no compunction aggressively assuring you something happened which you know didn’t, often to the point where you will doubt your own memory. They treat most people who work for them as dispensable livestock. And this usually causes the cattle (that would be you) unprecedented levels of stress, frustration and fear. When one victim burns out or leaves, they just move on to the next. They damage the health of individuals and the reputation of the organisation without any regret or shame. The workplace under a psychopath is in constant turmoil. Factions are rife, sick leave sky-rockets, staff turnover becomes endemic and productivity drops like a stone. They react to any criticism with aggressive denial or retaliation. If those aren’t options, usually because the critic has more power than them, they will feign victimhood or blame the victims of their actions. Punishment and threats have absolutely no effect on them. They will keep doing things their way, regardless. In short, they are the classic malevolent workplace bully. This is not to say that all bullying in the workplace is done by psychopaths. Bosses can be mean but it is the frequency of bullying-type behavior that sets psychopaths apart from an everyday horrible boss. In 2008, UK researcher Clive Boddy from Middlesex University set out to determine exactly how much workplace bullying was caused by psychopaths. Boddy took a psychopathic checklist and embedded it in a management survey of Australian middle and senior managers. Almost six per cent of the respondents were working with a corporate psychopath as their current manager and thirty-two percent had worked for a psychopath at some time. A further eleven per cent of respondents were working with managers who showed some psychopathic traits but were not rated at maximum in all categories. The respondents also revealed how many times they had experienced bullying. Under normal managers, employees encountered bullying less than once a month (nine times a year), but the moderately psychopathic managers bullied employees more than twice a month (on average twenty-nine times a year), accounting for a twenty-one percent of all bullying. If that manager was a psychopath, the employee experienced bullying more than five times a month on average (64.4 times a year) and this accounted for twenty-six percent of all reported cases of bullying. This means that, as an employee, you can, and probably will, be bullied in the workplace. If your boss is normal, bullying will happen once every six weeks or so. If you are working for a psychopath it will happen once or twice a week, or more. If the behavior described above is happening all the time then your boss is a psychopath. The bad news is that there are not many good options for solving it. The exit beckons, but while you wait for the right opportunity, there are a number of things you can do to protect yourself and improve your position. Those strategies are the subject of the next part of this series. 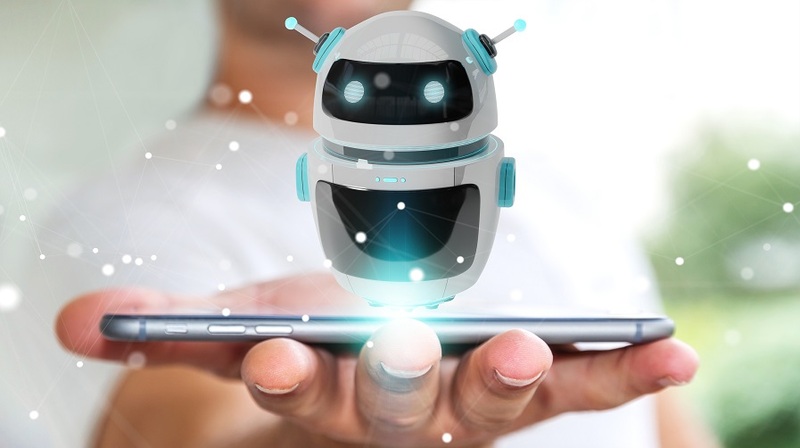 Procurement tech guru Bertrand Maltaverne explores the benefits, limitations and pitfalls of chatbots in procurement – with some animated examples! Digital assistants are ubiquitous. We talk to them (Siri, Alexa, Cortana, etc.). We chat with them (Twitter, Facebook Messenger, Skype, WeChat, etc.). They are in our phones, in our computers, and even in our homes. Now they are also making their way into our offices! Procurement professionals need to start taking notice, because chatbots present a valuable and unique opportunity to provide better services and experiences for internal customers and suppliers. They can also support and assist procurement professionals with their daily activities, becoming virtual colleagues or consultants. 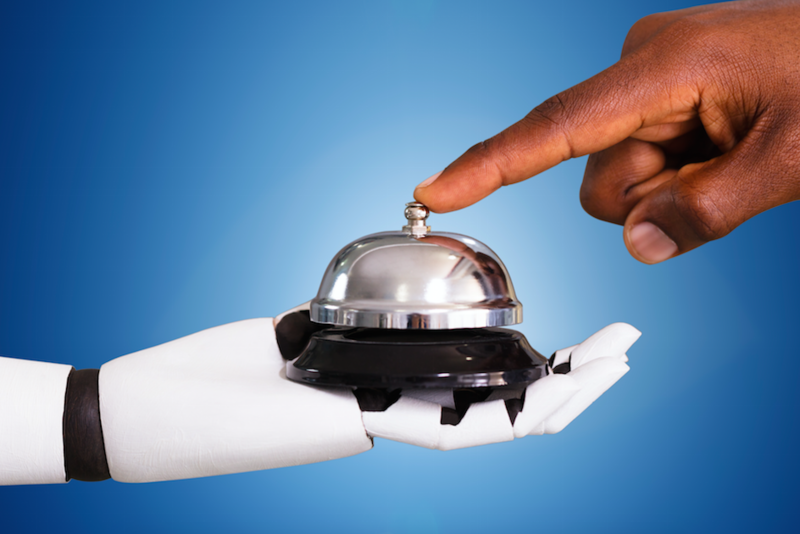 Of course, as with any new piece of technology, it is important not to succumb to the hype and to be aware of the technology’s limitations and constraints before deploying bots everywhere. The term “Conversational Commerce” was coined by Chris Messina in 2015. In his article, he focused on how messaging apps bring the point of sale to you. He first introduced the idea of assistants that people could interact with to buy things from a company. This is precisely what Amazon did and has popularized with Echo (the hardware) and Alexa (the AI-based assistant that “lives” inside Echo). The idea of voice or text-based interactions with a bot can be extended to much more than B2C and to “buying things”. The value proposition of such technology is to digitise interactions and conversations while also making technology more accessible. Gains in efficiency and effectiveness because of tailored and context-aware interactions. Chatbots remember everything, they know where you are, and can tap into data from all your other applications. Less time and effort needed to learn how to use Procurement technology: conversations replace graphical user interfaces (everybody knows how to type or speak; no need to use explicit and codified instructions). Interoperability and accessibility: users chat in the application or channel they prefer (SMS, Instant Messaging, Skype, Facebook Messenger, Alexa, Twitter, etc.). All bots leverage one common robust back-end system that processes and interprets natural language. 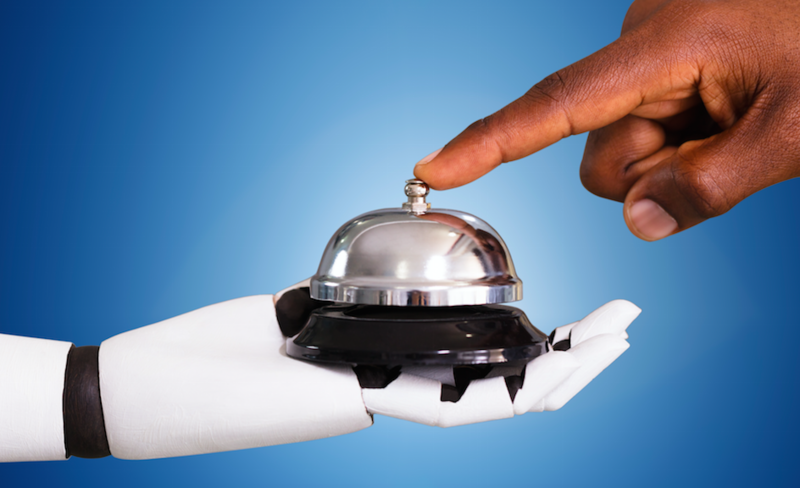 All in all, chatbots contribute to the creation of omni-channel and replicable but unique user experiences for stakeholders, suppliers, and for the Procurement teams themselves. Improving experiences is one of the pillars of the digital transformation of Procurement. In addition to delivering business benefits (savings, risk reduction, innovation, growth, etc. ), it contributes to making procurement a supplier/customer/function of choice. other factors (purchasing history, real-time availability of products, context, etc.). The approval process also happens via chat. If available, the chatbot adds the approver to the conversation, creating a group chat. 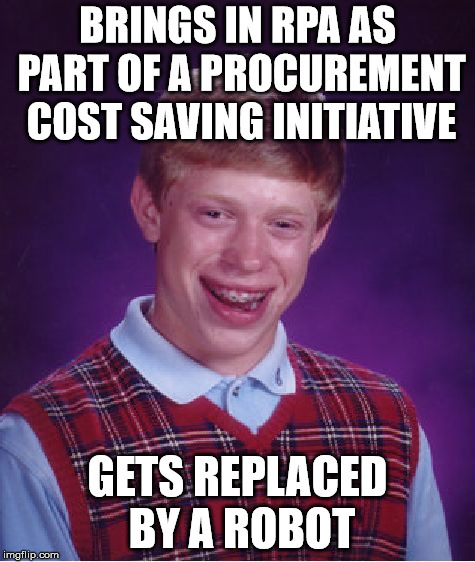 Or, the Procurement Assistant opens a new one-to-one conversation with the relevant approver. Approvers can then ask the chatbot how much of the budget is left and then immediately approve/decline the request without leaving the chat. The same can happen for other process steps (order confirmations, goods receipts,etc.). The assistant initiates discussions to ensure the process is compliant and efficient. Chatbots can also be invaluable assistants in operational support. The most straightforward and immediate application: query management. A chatbot can become the single point of contact for internal and external queries about purchase orders, invoices, and much more. Several companies are already successfully using such capabilities in their Procurement portals to provide quick answers to a vast amount of queries, which leaves their teams with time to focus on more complex requests and value-adding tasks. Now, let’s compare what happened above with a scenario in the context of siloed organisations and where such technology wasn’t used. The purchaser would probably have learned about the earthquake on his way to work while checking the news on his smartphone. He would only have been able to assess the situation and prepare contingency plans once he arrived at work, losing valuable time. In may organisations this would take hours or even days because access to information is spread across multiple systems. This would result in a very different reaction time compared to the example above, where the cognitive agent reacted almost immediately after the event and prepared recommendations during the night. Relying on conversations instead of graphical user interfaces has many benefits, especially for the mobile worker or casual user. However, there are limitations and challenges. Voice-based conversations are the most natural ones and are also the most challenging from a technological perspective, especially in a B2B context. This is due, in part, to the international nature of business. For example, names of people or companies are not familiar words that a chatbot can quickly recognise, and to make things worse, they are often not in the same language as the one used to converse with the bot. what instructions can “it” understand? what words should I use to make sure I will be understood? to have a smooth and almost transparent hand-over to a real person if the machine fails to understand a user. Conversational user interfaces are still a novelty, especially in B2B. However, they will become more widely used as technology makes further progress and people get more used to it. So, for Procurement, now is the time to investigate their potential as an additional way to provide a streamlined and personalized user experience both inside and outside of the function. In addition to delivering the right outcomes, experiences are also a crucial component of the value that the rest of the organisation gets from Procurement. Customer satisfaction is at stake. The implementation of chatbots, like any other technology, has to be pragmatic, defined by clear use cases, and should not be viewed as a solution in itself. Chatbots will not solve all of an organisation’s problems, , but they can be used as a means to an end! “Every Who down in Whoville liked working, a lot … until one day The Boss met a clever robot.” Continuing the tradition of a festive poem in the run-up to Christmas, check out this modern retelling of The Grinch from Procurious’ Content Director, Hugo Britt. until one day The Boss met a clever robot. and could do the work of fifteen FTEs. your Whos to take a redundancy now! but we won’t dump the Whos for a little while yet. At the end of ten desks was a robot, impassive. “We’re your new metal workmates – we’re starting today! We’re cognitive, clever, and can dance the ballet. The Whos stomped as one to the Head of HR. Seen dimly through the haze of his half-smoked cigar. assured them it wasn’t so bad as they feared. “They’re just here to assist. Fear not for your jobs. Robots are the future! Stop being such snobs! the Boss checked her calendar and smiled in delight. preparing to show all non-robots the door. At the hustle and bustle before her two eyes. and said “Thanks for the robots! They’re totally neat! The Head of HR stepped forward, then. “It’s true! The robots are great, but your humans are too. “Innovation is up! Relationships too! Soft skills are unlocking new value for you. and shouted aloud “It turns out I was wrong! Christmas is coming and, at Procurious HQ, we’re feeling pretty festive. 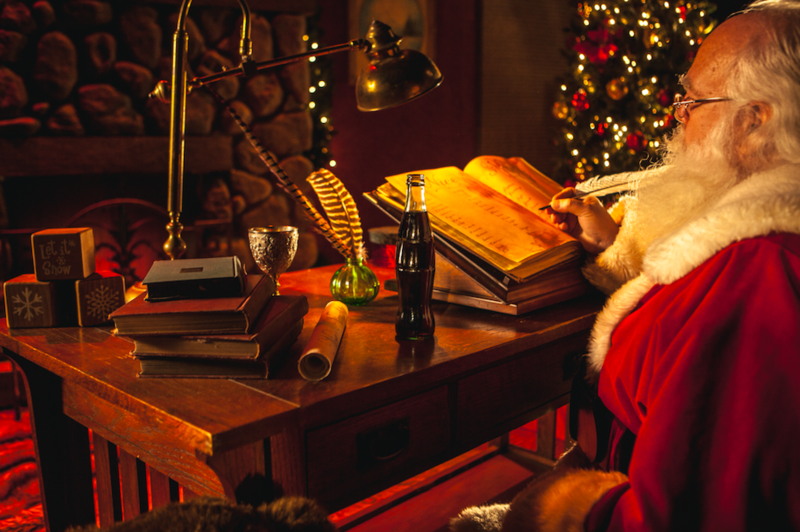 To get into the spirit of things and to give Santa a helping hand this year, we’ve put together a “Nice List” to recognise the organisations who are doing good whilst doing well! Colgate-Palmolive has a 24/7 EthicsLine, which allows all employees to get in contact to ask questions about the company’s code of conduct, obtain guidance or report any violations of the company’s ethics. They also reach 60 million people annually with hand washing education, provide health education to communities around the world, partner with local and global organisations to bring clean water to underserved areas of the world and are working toward a goal of Zero Waste. GAP’s P.A.C.E. program is committed to helping one million women around the globe take charge, dream bigger, and unlock opportunities to better their lives and communities. They also source sustainable cotton and are turning recycled plastic bottles, and even wood, into yarns. They are also partnering with governments and other international organisations to improve factory work environments and safety in seven countries including Cambodia and Indonesia. Salesforce’s Philanthropy Cloud is the first global platform to connect employees, customers, and partners with the causes they care about. It connects employees to the charitable causes that they care about, gives recommendations for causes and volunteer activities based on location, preference, and charitable history and connects companies and their employees to nonprofits at scale. TOMS has given more than 86M pairs of shoes to children need as part of their one for one scheme. They focus heavily on the environmental and social impact of their products and operations, responsible giving and employee life. They offer shoes with sustainable and vegan materials and all shoe boxes are made from 80 per cent recycled post-consumer waste and printed with soy ink. All employees are held accountable for complying with company policies, including the prevention of slavery and human trafficking within our supply chain. 7. Levi Strauss & Co.
Levi Strauss & Co. operate by the motto “Give More Take Less”. It has adopted production techniques that use far less water than traditional methods, grows quality crops that benefit the environment and farmers and recycles old denim. Wearing vintage jeans saves an estimated 65 per cent of the water typically used during the lifecycle of a pair of jeans, since no new water is necessary to grow cotton. Levi’s Authorised Vintage denim is renewed in different facilities in the US before being sold again, which significantly reduces the collection’s footprint. Ikea is aiming to inspire and enable more than 1 billion people to live a better everyday life within the limits of the planet. It is also transforming into a circular business in order to become climate positive and regenerate the earth’s resources. Could Blockchain And AI Help Procurement Change The World? What are the obstacles to more informed, strategic decision-making in procurement? How can procurement pros use blockchain for social good to change the world? What disruptive forces are heading your way in 2019 that could impact your supply chain? 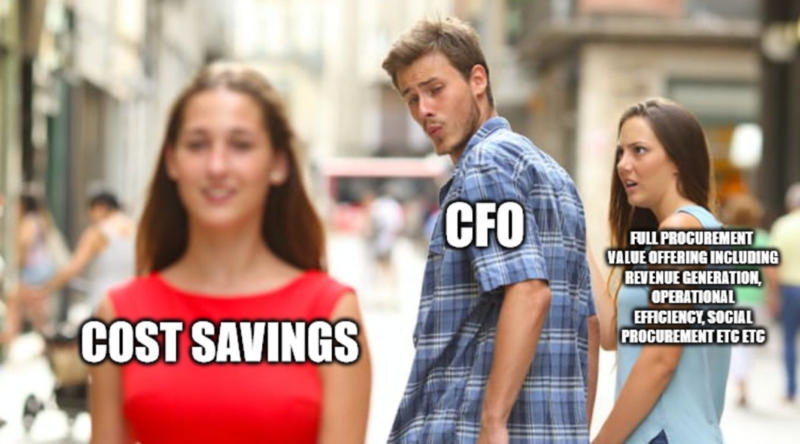 These are just some of the questions we discussed when we gathered a dozen procurement leaders in London last month for a CPO roundtable sponsored by Ivalua. A new study by Forrester, commissioned by Ivalua, surveyed 433 procurement, supply chain and finance leaders across Europe and North America. The results, which Alex Saric, CMO Ivalua took us through at the roundtable, provide a practical look at how to enable smarter procurement. Firstly, despite efforts at automating processes, too much capacity is still consumed by operational or manual activities. Teams must free capacity to work on new projects, conduct analysis and plan, but are struggling to do so. Secondly, leaders struggle to access relevant insights when and where they are needed. The volume of information now available is of little help if not digestible, simply leading to information overload. Compounding this, respondents also cited poor data quality as a key challenge. Duplicate supplier records, inaccurate data and poor integration between systems all were cited as sources of data quality issues. A common viewpoint today is that Artificial Intelligence (AI) is the answer, the magical light at the end of a dark tunnel that will improve automation and give us the magical answers we need, when we need them. But what isn’t discussed is ensuring you have a solid data layer that feeds the intelligence layer, where the algorithms lie and all the talk lies. Organisations must implement AI in conjunction with cleaning up their data, rather than using poor data quality as an excuse for inaction. Empowering procurement to make more informed, strategic decisions is no longer an option. There is simply no other way to effectively meet the broad set of objectives now expected. Olinga Ta’eed, Director, Centre for Citizenship, Enterprise and Governance became the world’s first Professor in Blockchain and Social Enterprise at Birmingham University in 2018. He led a discussion surrounding his research into using blockchain for social good, which focuses on studies into methods to alleviate problems and provide significant intervention into society. Given the rate at which technology is evolving and how global events are impacting the world, it is increasingly difficult for companies to keep up without considering risk in real-time. Intelligence about the world we live in drives business operations and the better informed we are the easier it is to drive progress. Mark Joyce, Head of Analysis, Sibylline revealed the most disruptive forces headed our way in 2019. Deadly conflict on the rise – Total conflict deaths fell enormously from mid-nineties up until the last decade. Since 2012 they’ve sparked to the highest since 1990s. Conflict deaths are concentrated in North Africa, Middle East, Syria Libya and Yemen. Middle Eastern countries have accounted for 70 per cent of battle deaths over the last five years. Kris King, Ultra-runner and adventurer extraordinaire specialises in the safe delivery of life-changing challenges and expeditions in the world’s most remote and demanding areas. He inspired our roundtable attendees with his personal story describing how his best friend’s dad was diagnosed with Huntington’s disease and his commitment to raising as much money as he could for medical research. Kris become the youngest gym owner in the country, started running marathons, which turned into running ultra-marathons, which turned into extreme adventuring across the world, and started to see what a difference he could make. In his own words “adventuring doesn’t pay well” so he found a way to monetise it – designing extreme adventures for clients, as well as for himself. Whether it’s expeditions in the Arctic Circle and Namibia, driving over a frozen lake with Daniel Craig, catapulting David Hasselhoff or bungee jumping a car of a cliff – nothing seems to be out of reach. The London CPO roundtable was sponsored by Ivalua. If you’re a CPO and would like to attend one of our roundtables in person please contact Olga Luscombe via [email protected] to request an invitation. AI can help supply chain professionals make better decisions, more efficiently and in a more repeatable way over time. At this point, supply chain professionals might be getting a bit impatient with AI. You’ve likely heard how this technology is poised to revolutionise the supply chain. But as a supply chain professional, you’re not working in R&D; you’re responsible for P&L. 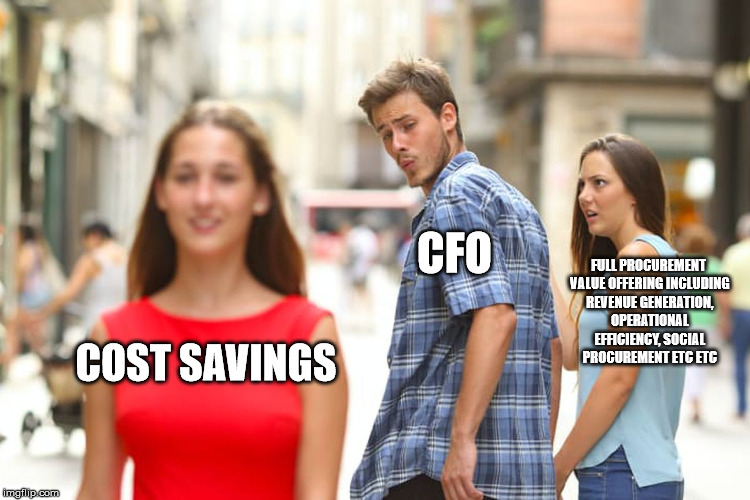 The obvious question is: what’s in it for me and my bottom-line performance? Supply chain professionals need to understand how AI will reduce costs and/or increase revenues. To answer this question, we need to back up a bit. While various sectors have very different concerns, there are some challenges that affect nearly all supply chains. I’ve worked as a supply chain practitioner, myself, with a large industrial manufacturer and with one of the world’s largest transportation services companies. To my mind, there are four challenges all of us understand very well, whether we are moving consumer goods, food and beverages, or cars. Where are all of the moving pieces at any point in time, from our suppliers, to our warehouses, to our carriers and finally to our customers? How could improved visibility impact core cost and revenue components across the business? Could improved visibility of the total supply chain help us to get the right products in the right place at the right time, based on our specific demand profile? Could we then hit product launch deadlines with more certainty? A lack of inventory visibility can lead to increases in working capital – the lifeblood of any business. If there is an issue with inventory, how do we fix it? And if we can’t fix it right away, how do we interact with our customers and suppliers in a way that protects these critical relationships? Keeping up with the pace of change is a constant issue. The acquisition trend in our industry means we are frequently incorporating new supply chains and systems, and building bridges between platforms, all the while ensuring on-time delivery and minimising costs. There are two problems with this mode of problem solving. One: you’re limited to the internal data your dashboard is tracking. Two: once that problem is solved, the knowledge and insight that helped fix it disappear. If the same problem happens a year later, you’re starting from scratch, especially if people have changed roles or left the company altogether. AI addresses both of these problems, helping supply chain professionals do what they do best – but more efficiently and with better data. Specifically, IBM Watson Supply Chain brings in a broader range of data to help you quantify the impacts of any incident. 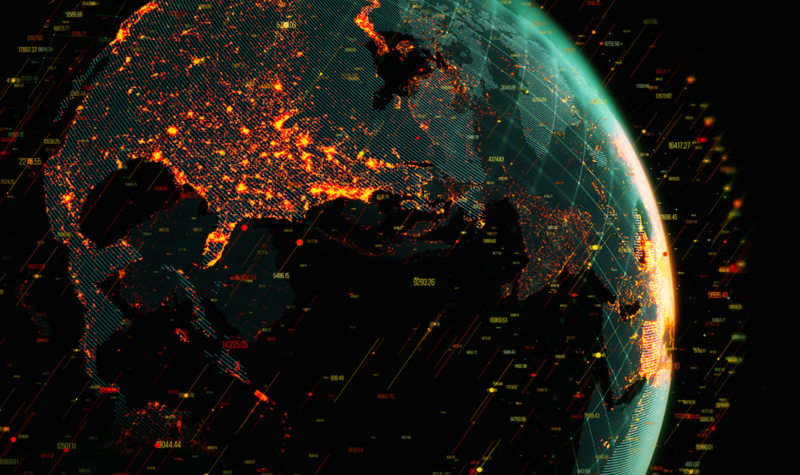 For example, if the two cities most critical to your supply chain are Shanghai and Rotterdam, Watson can track world events – weather, geopolitics, finance and more – that could disrupt this specific trade lane flow. It’s not looking at everything for everyone; it focuses on the parts of the chain that matter most to you. Ultimately, you improve your awareness of potential issues while sharpening your calculations of the impact on your business. Next, Watson captures all of the conversations, inputs and outputs used to solve the problem. This institutional knowledge becomes permanent and searchable, so you can reach an even faster resolution if the same problem happens again. In fact, Watson will learn from this data to recommend better alternatives. IBM is already taking advantage of AI in this way. After a Japanese tsunami disrupted our supply lanes in 2011, we asked ourselves how to get better insights. IBM Watson Supply Chain is the result. We created a transparent supply chain app that alerts key decision-makers when disruptions occur. Then we collaborate in a virtual “resolution room” to share expertise, get real-time updates and make quick decisions. All of this detail gets fed into Watson for future decisions. To date, we’ve reduced our data retrieval times by 75 per cent and saved $40 million in freight and inventory costs. Other customers are benefiting from AI too, like Lenovo, which is using IBM Watson Supply Chain Insights to rapidly predict, assess and mitigate the risk of disruptions to its supply chain. With AI, Lenovo can shrink average response time to supply chain disruptions from days to minutes – up to 90 per cent faster than before. To bring it all home: AI can help supply chain professionals make better decisions more efficiently in a more repeatable way over time. It doesn’t replace people; human expertise is too vital to the process. What it does instead is augment your team’s capacity and capability, so you can spend more time resolving issues and less time gathering data and responding to emails. AI may seem a bit futuristic, but it’s certainly not an abstract concept – it’s here and now. And it can provide a demonstrable bottom-line impact across all supply chains structures. What sort of fallout can you expect to see from a supply chain scandal? What should you do when a risky event takes place? 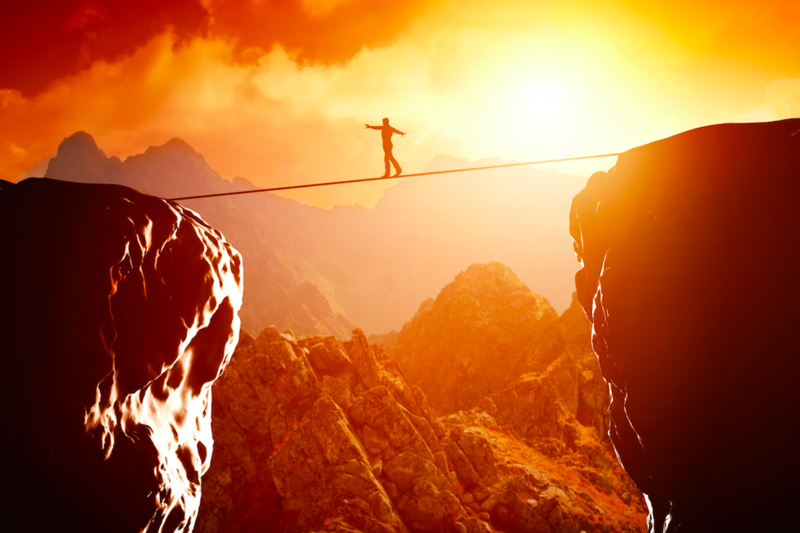 Tune in to today’s podcast on risk in procurement and supply chain, featuring ISM CEO Tom Derry and Procurious Founder Tania Seary. Today we’re faced with complex supply chain challenges. In fact, it’s hard to think of an area of the business that modern procurement doesn’t touch, ranging from employment law, to climate change, to human rights. As the complexity of supply chains continues to increase, so too does the number of issues we need to deal with, which is why supply chain disruption is often quoted as the number one concern of CEOs. They know that supply chain failures can have a dramatic impact on their public reputation – and their company share price. 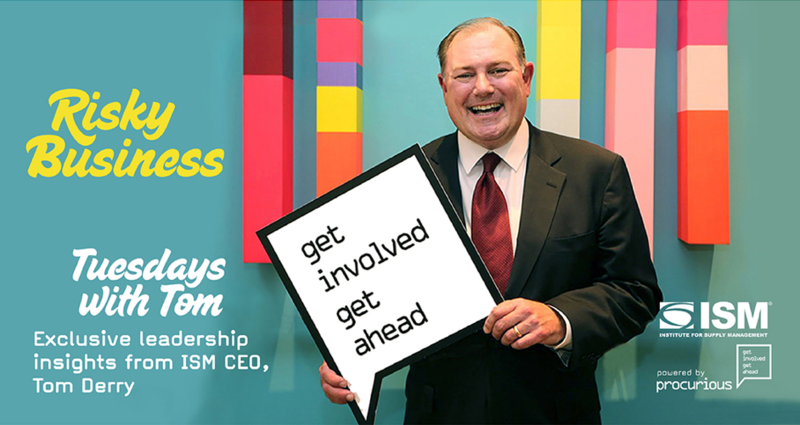 ISM CEO Tom Derry joined Procurious to discuss how a supply chain disruption can damage an organisation, and what can be done to mitigate the risk. What kind of fallout is a company likely to see as a result of a supply chain scandal? Tom: From a Board and CEO point of view, there was an academic study written by a professor out of Georgia Tech a few years back that revealed that if there’s a publicly announced supply chain disruption, that company will experience a lower stock price for at least five years after the event. We’re talking about a catastrophic destruction of market cap and value for companies that experience disruption. The other fallout is a permanent loss of sales. My 21-year-old daughter makes decisions about the products she buys based on what she knows about the company’s social and sustainability practices. If she hears something about a company that she doesn’t agree with, that company has lost her business for the rest of her life – that could be as much as 80 years of lost sales! On the other hand, companies that have built up good social equity because of their CSR and sustainability practices don’t tend to suffer the same kind of heavy damage. 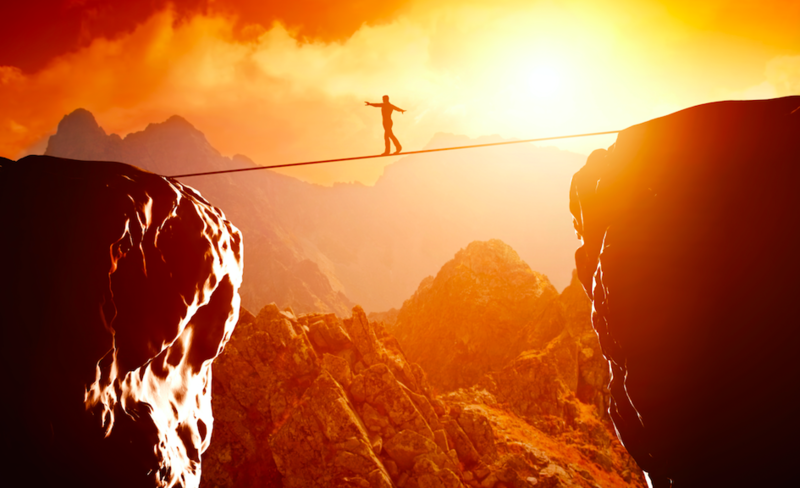 What are the common-sense steps to take to ensure your risk management is in order? Tom: The first thing to understand is this doesn’t require an expensive consultant to run 10,000 Monte-Carlo simulations, give you a probability assessment or sell you a 2×2 matrix. For procurement and supply management professionals, it’s important to look beyond the first tier of suppliers to where your organisation is really vulnerable – three or four levels down. 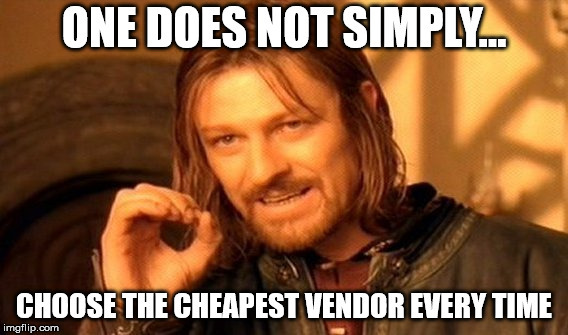 You should know every single-source supplier in your supply base, and you should have plans in place for immediately dealing with an issue with one of those sources. You need to beware of geopolitical risk. If something changes – if an industry gets nationalised or if someone unexpectedly wins an election or referendum – what will your answer be if a scenario like that develops? Look at the other side of the company. 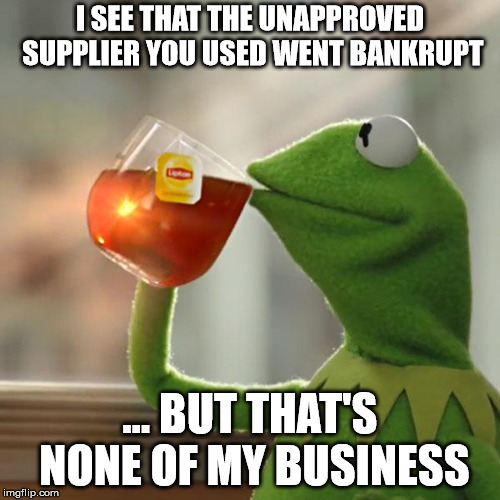 What are the products and services you’re selling, and what in your supply base could put that at risk? We should understand how the activities we are performing help support the business in making its money, and look there for risks that could really disrupt the business. How do you minimise fallout from a risk event taking place? Tom: Wait. In the heat of the moment, it’s a natural human feeling to get defensive when you’re being criticised. An immediate instinct might be to get out there and say that the fault lies with someone else, but that would be a mistake. Don’t give into that instinct to blame, deny and defend. Instead, take a measured view of what’s going on, then accept ownership and responsibility. People will give you a lot of credit for being open, straightforward and transparent about a mistake. If you try to dodge it, it’s going to get worse before it gets better. Part Five of Tuesdays with Tom is available now. Click here to sign up and hear ISM CEO Tom Derry discuss what sort of fallout you can expect to see from a supply chain scandal and what should you do when a risky event takes place? 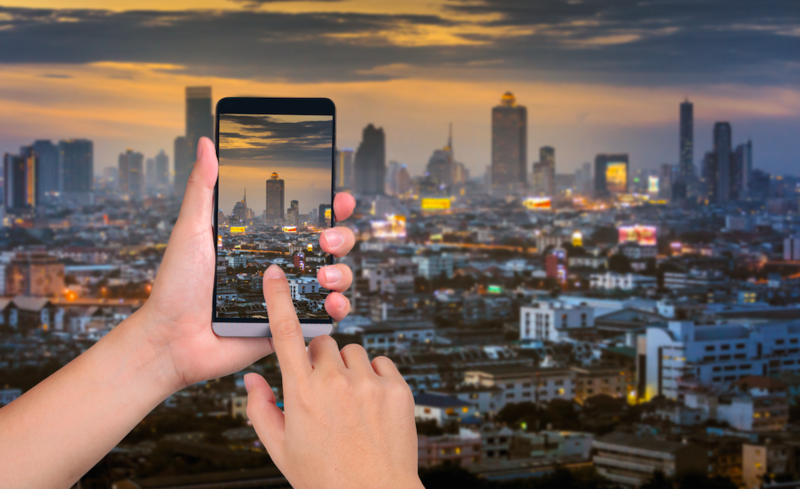 How Can We Achieve Our Smart City Goals? Lately, the public sector has collaborated with the market to launch smart city solutions. 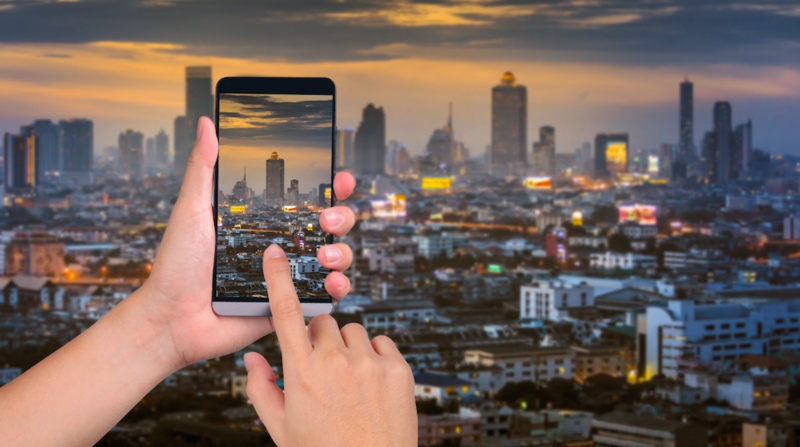 How do we achieve our smart city goals? This article was written by Hanne Lystad. Norway’s smart cities include everything from drones to surveillance train-lines, learning apps for kids and the world’s first autonomous cars. But the next step in facing the huge smart city challenges such as meeting climate change targets is for the public sector to cooperate with procurement. Lately, the public sector has collaborated with the market to launch smart city solutions, which is great. But how do we achieve our smart city goals? A key way for the public sector to achieve its goals is by using the market forces via public procurement. In this piece I will point to some front-running Norwegian examples. I work as lead digital for the National Suppliers Development programme in Norway. The programme has collaborated with public institutions in procuring smart city solutions since 2010. The programme is a joint collaboration by five partners with unique strengths, networks and focus areas – representing both the public and private sector and the research field. In Norway, public authorities spend approximately 58 billion euros on procurement each year, which amounts to 14 per cent of the Norwegian GDP and 37 per cent of our government national budget. Public procurement accounts for a significant portion of the overall demand for goods and services and is increasingly seen as an attractive instrument for developing society and nation. Therefore, a simple public procurement policy – such as opening up for innovation – can make a profound impact on a nation or industry. 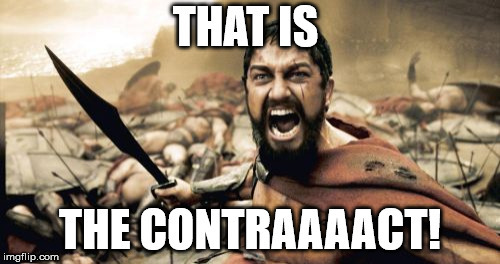 The “normal” procurement process goes as follow: you think you need something , you put out a tender, you get an offer and you write a contract. But guess what? When you do it the way you’ve always done it, you are likely to get the same product or service you have had before – not innovations. You might not get what you actually need, and perhaps the suppliers have developed new and better solutions since the last time you asked for the same product. Because of this, we discourage requesting pre-defined solutions from the market and rather suggest putting more energy into mapping out and defining needs and creating a dialogue. 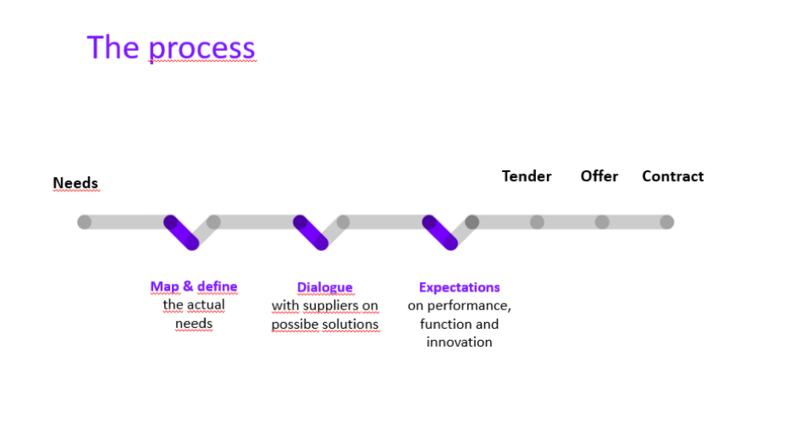 Creating an enabling environment where procurement and their suppliers can discuss different options and solutions results in relevant innovations and actual uptake. European cooperation on autonomous buses through PCP procurement. … and many more examples within welfare, tech, digitalisation and sustainability. Take a look at this film if you’d like more examples. It goes without saying that these new smart city solutions are a great thing, but we have to stop obtaining them one by one, pilot by pilot. At start of our programme, we supported processes where a single public agency was involved. We gained valuable insights and know-how, but saw that the majority of products and services developed ended up as prototypes and pilots. Today, however, we are focusing on gathering public agencies with a common agenda from the beginning, so that they together will meet relevant suppliers and developers with a shared need. One example of this is emmission-free construction sites, which initially had one frontrunning public agency supporting the cause. We realised it would make more impact if we gathered a significant number of public builders from all levels: state, regional and local municipalities. In addition we got environmental NGOs on board, research clusters, and public agencies with an interest in meeting a common goal – in this case meeting climate change targets. 1) Talk about the forthcoming requirement to market actors. 2) Get feedback from them on the barriers to such a development and the factors that would make such a development process attractive for them to join. The key to creating an enabling environment is ensuring the demand and supply side can actually figure out obstacles and possibilities. Firstly, major challenges – such as meeting climate change targets – can be tackled by gathering a significant portion of the demand side and agreeing on a single approach. Secondly, when the market sees a more clear opportunity for serial production, this triggers their contributions and efforts – both through sheer market volume, but also through a predictability in terms of knowing what they need to prepare for. Thirdly, we also see that it is easier to get funding for these broader initiatives than when we support public agencies one-by-one. The public agencies have also committed through a joint declaration that they will be requiring emission-free technology in their construction sites. If you are from the public sector, tackling smart city challenges in collaboration with similar public agencies is the way to go! If you’re from the private sector, collaboration is a huge market opportunity. This article was written by Hanne Lystad. 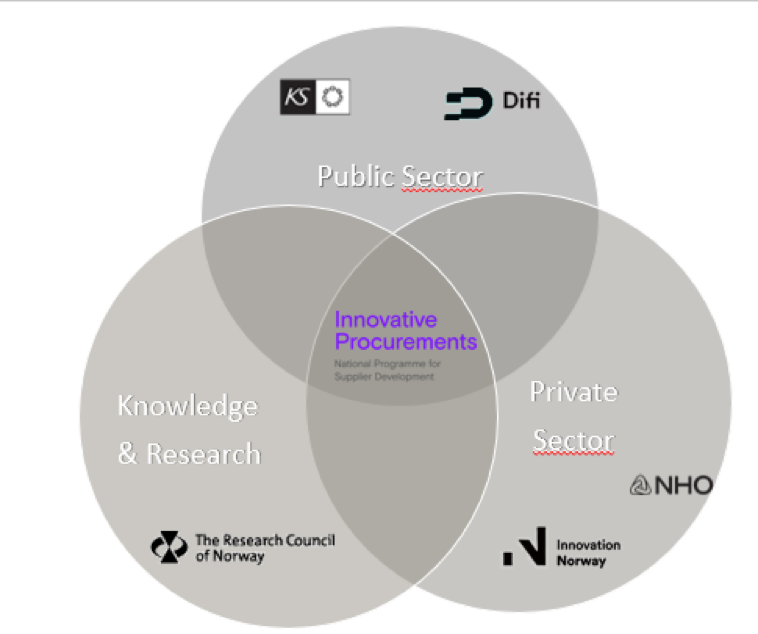 Hanne works as Lead Digital Innovation in the Norwegian national suppliers development programme, which means counselling public and private sectors in how to achieve innovation through procurement within the digital field.